Wine of the Month Club Review - Legit Way to Get Quality Wine? Wine of the Month Club Review – Legit Way to Get Quality Wine? You know about the Wine of the Month Club. It's so famous that it has a Wikipedia page. Started in 1972, the first ever monthly wine club became a household name but perhaps you want to know a little bit more about it before subscribing or making a gift of it. You may want to know simply because you have heard so much about it. What Makes Wine of the Month Club Unique? Once, Wine of the Month club was entirely unique. It has generated so much competition that it can be hard to find them in the mix, as all the wine clubs call themselves "Such & Such Wine of the Month Club". Nonetheless, they have a stellar BBB rating and boast of over 1,000,000 customers served. All their services are guaranteed. The Wine of the Month Club genuinely feels like an old school but not an elitist club. WMC is a solid, conservative choice. They have been everywhere and will be around til kingdom come. They make no effort to be faddish but why should they? Wine itself is not faddish. WMC has launched 3 niche Wine Clubs, the Napa, the Bordeaux, and the Rose, adding a new flair to a classic company, which itself has 3 types of clubs to join. They also have a newsletter, events, and special dinners for their members. Subscribing is easy, consisting of two pages once you have selected which club you wish to join. Gifting is just as easy and you can select the option on the subscription page. There are 3 types of membership, Classic, Vintners, and Limited Edition, and you receive 1 red and 1 white, or 2 reds or 2 whites. You can subscribe to receive monthly, every 2 months, or every 3 months. How one cancels is unclear, but Wine of the Month Club is very customer service and phone oriented. They are likely quite aware that some of their current lifelong customers don't feel comfortable online yet. The service is not available in DE, KY, MS, OK, RI, UT. Someone 21 years of age or older must be at home to sign for deliveries. There are some additional instructions about deliveries. They try three times and then you have to call. There are no complaints about deliveries being late, not arriving, or being defective in any way. 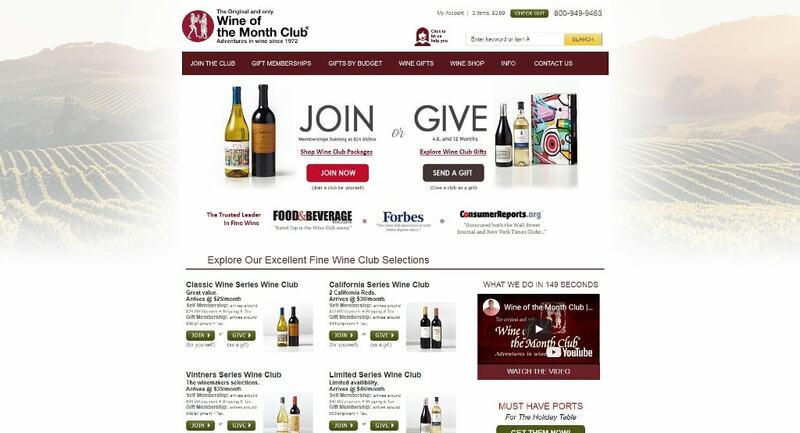 Wine of the Month Club has a selection of subscriptions, running more or less half a Grant note a month plus S&H. The subscriptions vary mostly by type of wine (grape, region, style, excellence, etc..) than by format and premier wine subscriptions are pricier, of course. This makes them far and away less expensive than their competition. For your fee, you receive 2 bottles of hand selected wine a month. The default is one red and one white. This describes the 'Premier', aka original, wine service. The wines come at a good discount considering what you would pay for the same bottles at a wine boutique. There are 11 different clubs within WMC. You can also 'mix' the clubs, which is a more detailed process than we can explain here. Their subscriptions remain a better price per value of wine than the competitions. Just like you, I have known about the Wine of the Month Club for as long as I can remember. They have been in business for 45 years. No one is complaining via their Facebook page. They don't need to do a lot of online advertising off of their site. People come find them. For all that, I couldn't find any complaints about Wine of the Month Club when I scoured the internet for them. One lady had a box of glasses arrive that she termed cheap and may have had a broken stem. Customer service is known to be excellent. There are fabulous, chick, elite Wine Clubs, websites adorned with serious but hip photos of French cellars and Napa hillsides. Some boast of being so elite that they only allow a limited amount of members. Still, no one really holds a candle to WMC. Their prices are the best, their community is the biggest, their customer service is outstanding, and you can have a lifetime subscription and leave it up to your heirs to have to cancel it...if they want to do so. It's a shame that we have come to treating wine like a fashion. The U.S. did miss out on good wine for decades after prohibition. During that era it may have felt a little elite (or lonely) to truly appreciate the good wines, which were largely European. Part of the genius of Wine of the Month Club, when it began, was that good wines just weren't available all over the country like they are now. Also, people were still learning about wine, largely on their own. Wine of the Month Club was a stroke of genius. But when it comes to gifting, we have to look towards the recipient's tastes and in some circumstances make a more modern feeling investment. Personally I'd rather drink a wine as old as I am than a wine as old as my kids, but it might not be for the tragically hip. Wine of the Month Club is certainly a good value for your money compared to the other sites but it isn't a dollar store deal. They supply truly good wines. Is the Wine of the Month Club worth the money? Absolutely, if you like wine and want to broaden your horizons. Is their selection stodgy and old feeling? No, they have premium wines and follow market trends closely. I'm not sure about their parties and special events. How is WMC's customer service? 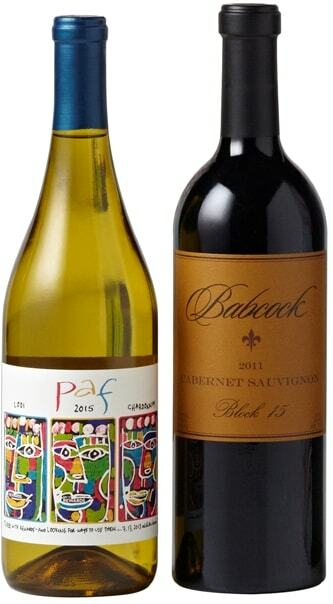 If you want to gift older people, are conservative in your tastes, or are entering a field such as law, where you will be associating (and trying to impress) a lot of people who are older and have conservative tastes, Wine of the Month Club is a good choice. If you are edgy, trendy, and love being the first person in your group to find new things, WMC isn't your first pick, unless retro is the 'in' thing. Expect to hear 'my parents subscribed to that' a lot. Not a bad thing, necessarily. I'm somewhere in the middle and I like new things but I like a solid, guaranteed deal that will be around for a while and is tried and true. Thus the WMC's niche offerings are great for me. They're boutique yet I feel sure my investment is guaranteed by a solid force that will be around forever. At this writing Groupon, Retail Me Not and The Coupon Scoop all offer WMC coupons. We didn't notice any discounts on their site, although there is a space for a coupon code in the sign-up area. The Wine of the Month Club is a very well established and well loved business. With their selection and prices, they are pretty hard to beat and they know their customers very well, keeping abreast of each new generation's tastes. Wine of the Month club knows it's customers. 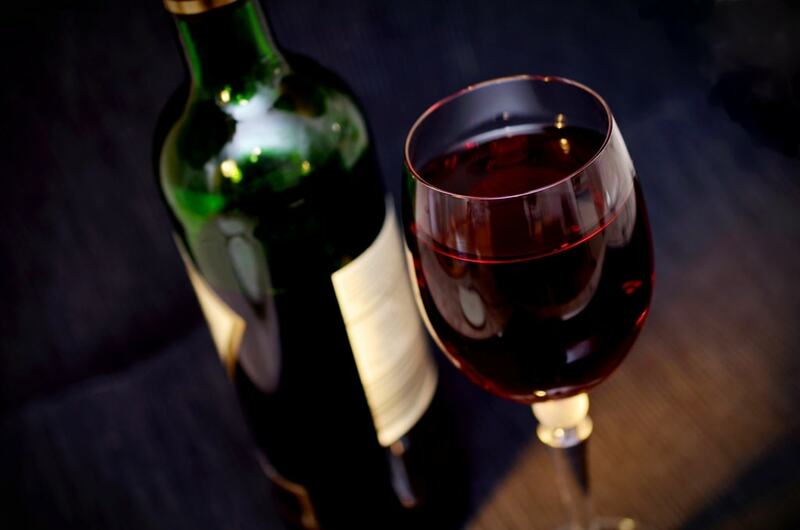 They have crafted a quality service that offers reasonably priced wine perfect to each customer's preference. If you enjoy trying new wine, this may be a good option for you. Previous articleCocktail Courier Review – World’s Best Cocktails or Cheap Drinks?